Looks like Cam Newton—or at least someone—is about to cash in the SuperCamming fad. Newton apparently spoke this afternoon to players practicing for tonight’s Under Armour All-American Game. 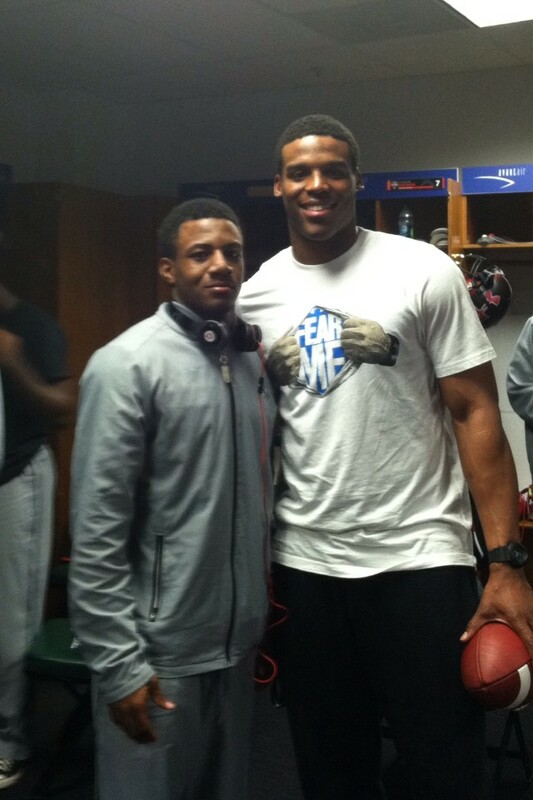 A photo of Cam posing afterward with Auburn cornerback commit Josh Holsey shows the Blessed Individual in a T-shirt showing hands ripping open a meta shirt to reveal another meta shirt printed with the words “Fear Me” in classic Superman Cam fashion. Related: Clark Kent does the SuperCam. h/t Justin Lee, photo via.